Get ready to Race for Your National Honour! Each INDIVIDUAL Driver shall select a flag to represent: their nationality, a distant relation, fav vacation spot, or just favourite colour arrangement. Then it's a 2-day "National Format" Race to put their Country Top of the Podium! Next Weekend: September 26 and 27, 2015. 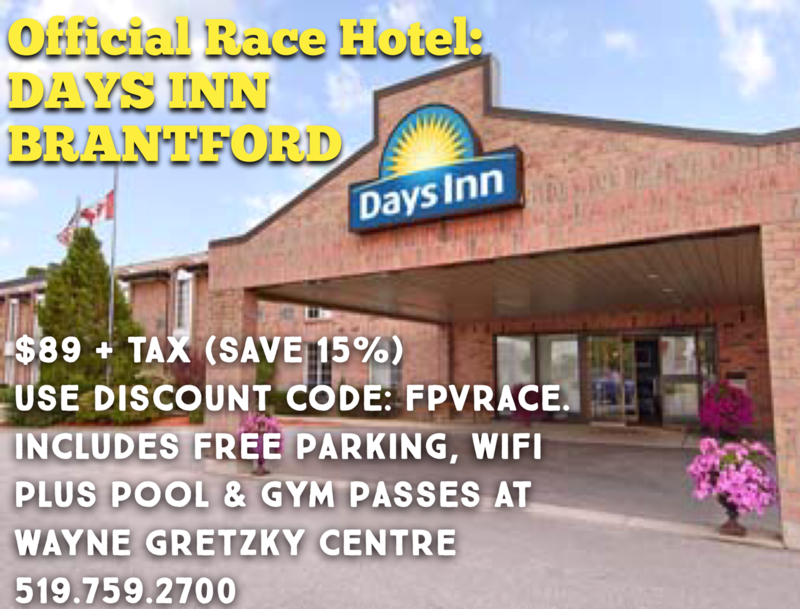 I've secured a Host Hotel rate for Des Nations the Days Inn Brantford. Pre-registration allows us to calculate our day in advance and organize an optimum schedule in advance, and ensure that we have the appropriate awards ordered. In addition, it reduces pre-race administration for the Race Director, thus affording an on-time start. We provide numerous means to pre-register. Please help us to help you. While we won't refuse a race fee on the day (show-up, go-up), it is in everyone's interest to have our field of racers pre-registered. 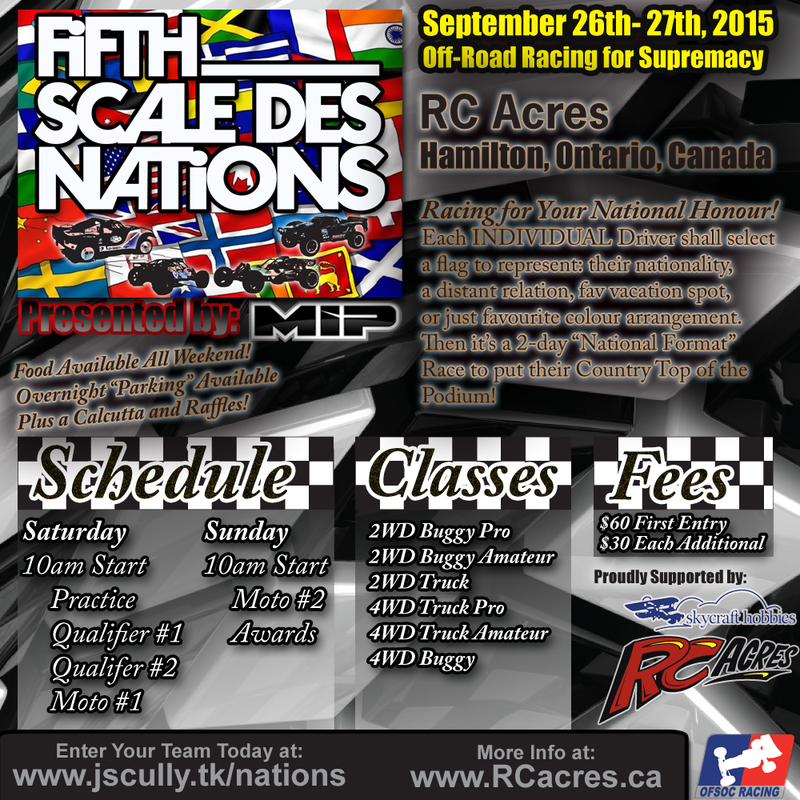 RC Acres 1/5 Scale Race Track in Hamilton, Ontario, Canada!